Most of the shops following the Derrick Rose injury this week, now consider Cleveland an even heavier favorite to win the Eastern Conference. According to Bovada and sportsbook.com, the Cavaliers are currently -180 to make the NBA Finals and Chicago had been dropped to +1500. Out West, Golden State is +220 to take that conference title. A Finals pairing between the Cavaliers and Warriors is currently paying +250. The pairings next highest include Cleveland/Oklahoma City at +650, Cleveland/Memphis at +800 and Atlanta/Golden State at +1000. That makes the game on Thursday in Cleveland even that more of a big deal. 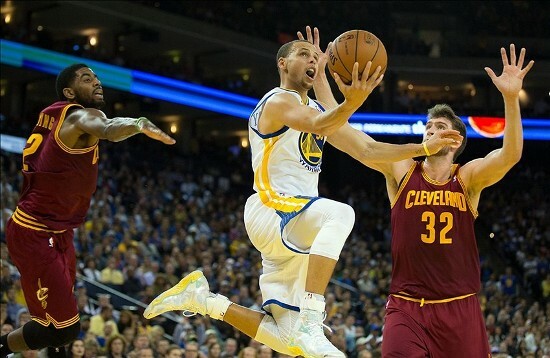 If bookmakers are correct in this matchup between Cleveland and Golden State does end up being a preview to the championship, this game would be the only reference point for the matchup. The first head-to-head game between the two teams cannot be used as a comparison since star forward LeBron James did not play for Cleveland. Golden State was victorious in that game 112-94. Golden State enjoyed an edge of 36-3 in points on the fast break and recorded 35 assists on 43 field goals. The loss at the time was Cleveland’s fourth straight and the Cavs would eventually lose six straight. However, since James returned from two weeks on the sideline Cleveland is 17-2. Nevertheless, Golden State is 21-5 over its past 26 games overall and has won 16 of 19 games against Eastern Conference opponents. One the MVP front, Stephen Curry remains at -300, the overwhelming favorite. James is third at +500, with Houston’s James Harden sitting second at +350 and Oklahoma City’s Russell Westbrook in fourth at +1000. With the consistency Curry has played with all season and the way his team had taken the West by storm and leading the NBA with the best record overall, it will be hard to un-seed him from the top. Curry scored 51 points on February 4 and is averaging 28 points per game during the month. He scored 32 on Tuesday night after sitting out a game over the weekend with a sore ankle. Kyrie Irving is a great defender for Cleveland, but Curry was not fazed the first time they met this season as he scored 23 points, had 10 assists and just one turnover. 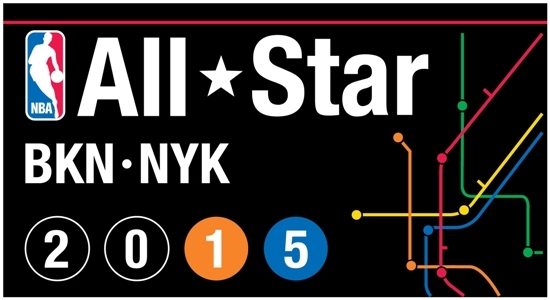 The NBA All-Star game will be played today in the Big Apple at Madison Square Garden. The 64th annual All-Star game will have the West looking to avenge last year’s 8-point loss. This game is all entertainment. While players are clearly competitive and want to be victorious, there are some that go well above and beyond for these types of games. Last season, it was the Eastern Conference team led by LeBron James that ended a losing streak of three years with a 163-155 win. Kyrie Irving, James’ current teammate, won the MVP award, after shooting 14 for 17 for 31 points and adding 14 assists. This season five players voted to the team have played in 10 or more All-Star games but two Kobe Bryant and Dwayne Wade are sidelined with injuries. 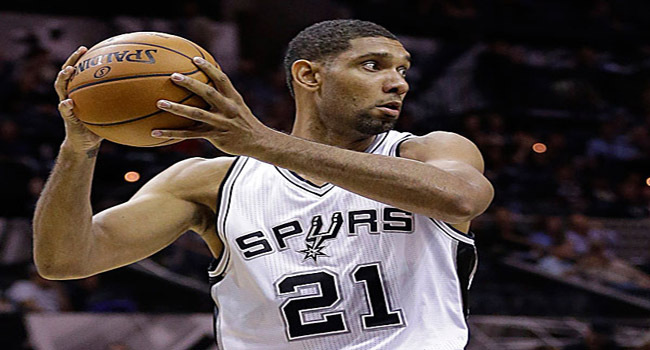 The other three Tim Duncan is playing his 15th, LeBron James his 11th and Chris Bosh his 10th. Besides Bryant and Wade, Blake Griffin misses the game due to an injury and was replaced by Portland’s Damian Lillard. Kyle Korver and DeMarcus Cousins replaced Bryant and Wade. This will be the first All-Star appearance for both Korver and Cousins. Anthony Davis is injured and was replaced by Dirk Nowitzki who will be playing the All-Star game for the 13th time. Stephen Curry who received more than 1 million votes for the Western Conference team has led his Golden State Warriors to the top spot in the conference. The current line has the West favored by 2 points over the east. 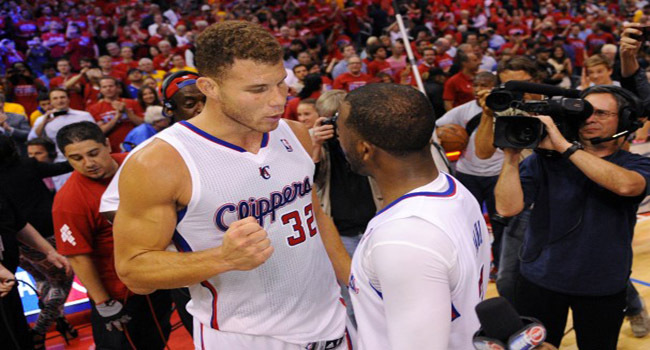 NBA fans and bettors know the West is far deeper in talent at the individual and team level. However, it is difficult for that to play out in this type of game since the talents levels are so close when only the top 15 from each conference play. The NBA season is just over halfway through. The league will take a break this weekend for the All-Star Game festivities then return for its stretch run. This week the latest NBA championship futures were released with a slight shakeup taking place out West. A significant amount of shuffling on the NBA futures board has taken place of late particularly out west where Memphis and Oklahoma City have moved up the board after having their odds shortened since the last futures were listed. At the same time, the Trail Blazers, Houston Rockets and Los Angeles Clippers all were moved down with their oddest lengthening for the championship. According to Bovada and topbet, Memphis is 12-2 over its past 14 games played and was moved up to 12 to 1 from 18 to 1, while Oklahoma City moved to 14 to 1 from 25 to 1. The Grizzlies are currently boasting the league’s best defense giving up just 95.6 points a game. Even though Marc Gasol will be the only Memphis player at the All-Star game, power forward Zach Randolph and guard Mike Conley have played exceptionally well this season. Randolph is averaging 16.7 points and 12 rebounds a game, while Conley is scoring 17.4 points while handing out 5.4 assists a game. Odds makers were quick to point out that Memphis is in control of the Southwest Division as it appears they will be unseating the San Antonio Spurs as the division champion, which will make the seeding for the Grizzlies that much better. According to topbet and betonline, Oklahoma City appears to be in the thick of things if Kevin Durant stays healthy. The Thunder is playing much better and Phoenix continues to lose games, meaning the Thunder could shortly take over the eighth and final playoff spot in the West. The Los Angeles Clippers have lost power forward Blake Griffin for at least three weeks and possibly more, making the situation for the Thunder all that better. The NBA All-Star game has yet to be played, but the first half of the regular season for the NBA is in the books with the majority of teams having played between 45 and 50 games. Before the season began, odds makers released their futures for total wins during the 82-game regular season. The season is so long that it is difficult for even the best NBA teams to play well game in and game out. At the start of the season, the Western Conference was considered the stronger of the two conferences and that has held true for the first half of the season. After only one quarter of the season had been completed, 9 teams in the West were on a pace to go OVER the win total odds maker had given them. The team that has taken the NBA by storm at this point of the season is Atlanta. The Hawks won 19 straight before being defeated by New Orleans, but came back on Wednesday to defeat Washington to start another streak. The Hawks to start the season were given a won total of 40.5. 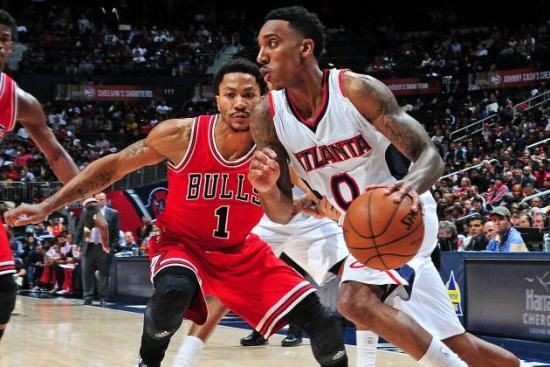 On Wednesday, with their win over the Wizards, the Hawks surpassed that win total, as they are now 41-8 on the season. Golden State was a dominating force during January as well when they were 12-3. The Warriors are currently 39-8 on the season. The Warriors need 12 wins over their last 35 games of the season to cash the OVER of 50.5. Just one team, Minnesota has won less than 10 games this season. 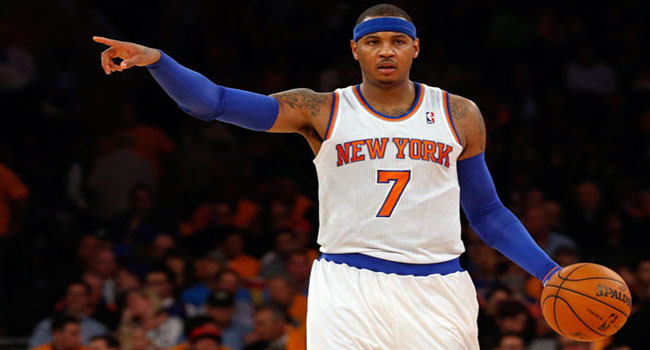 Those bettors who took the 76ers, Timberwolves and Knicks and the UNDER are looking strong. Minnesota has an OVER of 25.5 and the Timberwolves are currently just 9-40. The Knicks have a win total of 40.5 and are just 10-39 on the season. Three more losses and the UNDER ticket will cash. Last season, the Phoenix Suns were the first team that earned a result on its win total. The Suns of this season, besides the Hawks are the Milwaukee Bucks. The Bucks are 27-22 on the season through February 4. The win total for Milwaukee set before the season begin was 24.5. That means the Bucks cashed OVER tickets when they defeated Portland at home last week. The Western Conference is still the strength of the league with the eighth place team 6 games over .500, while the eighth place team in the East is 7 games under .500. Two great match ups highlight the NBA schedule on Sunday. In one game, the Miami Heat visits the Chicago Bulls and in the other, the Cleveland Cavaliers host the Oklahoma City Thunder. 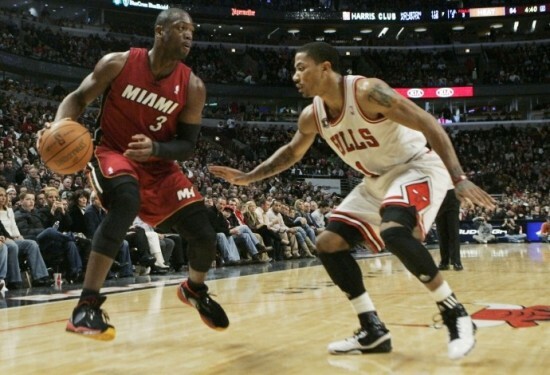 According to Bovada and topbet, Chicago is favored by 8.5 points over Miami with the point total at just 187. Miami on the season is 19-24 SU and 19-22-2 ATS. 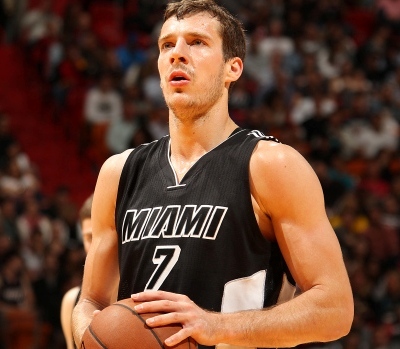 On Friday night, the Heat defeated Indiana 89-87. However, Miami did not cover as a home favorite by 3.5 points. Chicago is 29-16 SU and 20-25 ATS. On Monday, the Bulls were routed by Cleveland, but defeated San Antonio as a home dog by 5.5 points and then defeated Dallas as road dogs by 6 points. Miami is on a streak of 10 straight UNDERs. The Heat during that stretch has held eight of 10 opponents to fewer than 100 points. The first meeting between the two teams this season saw Chicago defeat Miami in Miami 93-75 and easily cash as a road favorite of 7 points. Joakim Noah has returned for Chicago after missing four games due to an injured ankle. Chicago has covered only two of its last nine games as a favorite at home. During that span, Chicago has lost as a double-digit home favorite outright to the Nets, Magic and Jazz. The Cleveland Cavaliers looked to have awoken. While going through a horrible run while star LeBron James was out injured, Cleveland is currently enjoying a run of 5-0 SU and ATS. The Cavaliers are 5-1 SU and ATS since James has returned. On Friday, the Cavaliers routed Charlotte 120-90 to cover easily as a favorite by 10 points. Oklahoma City is 22-21 SU and 20-212 ATS. The Thunder is currently 3-1 on a road trip of five games. OKC beat the Magic, Heat and Wizards in their first three games of the trip but were defeated by the Hawks 103-93. 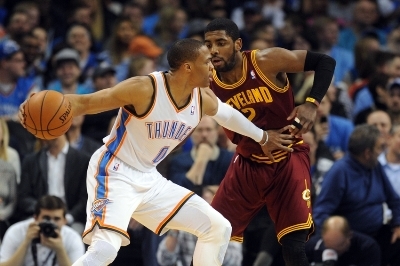 The Cavs lost to the Thunder in their December game in Oklahoma City 103-94. The Thunder cashed as a 7.5-point favorite at home. That was the Thunder’s first cover in the last four games versus the Cavaliers. With LeBron playing, Cleveland is 12-2 SU 8-6 ATS in its past 14 games played at home. Cleveland is 4-4 against opponents from the Western Conference at home. 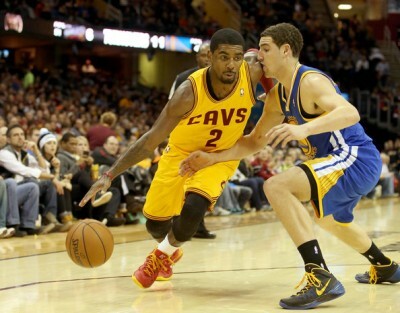 As the favorite at home against teams for the West, the Cavs are 4-2 ATS. 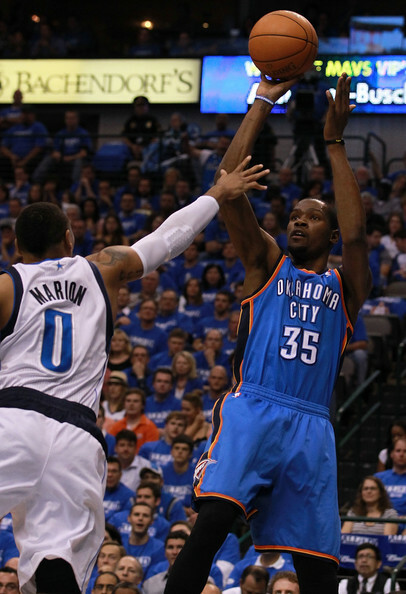 As an underdog this season, the Thunder is 10-9-1. This game should be high scoring with a wide-open atmosphere. I have to wonder what goes through Carmelo's mind when he laces them up for this Knicks' team each night. With the NFL taking a break this weekend, the NBA is in my focus. Here are four games I like for you tonight. New York (+9.5) at Charlotte – The lottery-bound Knicks are dead last in the Eastern Conference and I see little help on the way. I expect Phil Jackson to continue dumping as much salary as he possibly can. The Hornets have won eight of their last ten and have pulled within a half game of the eight spot in the Eastern Conference. 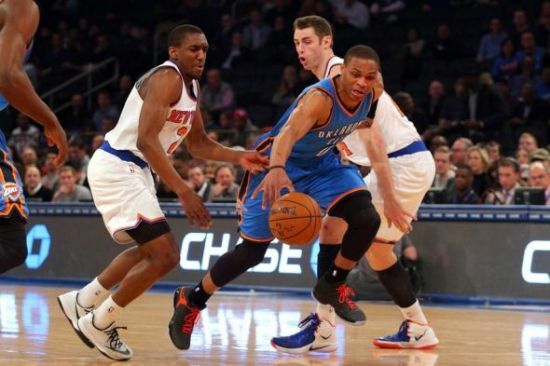 Strangely enough though the Knicks come in on a three-game winning streak. Trends: The total has gone OVER in five of the Knicks’ last seven games… The total has gone UNDER in six of Charlotte’s last seven games at home… New York is 3-7 against the spread in their last ten games against the Hornets… Charlotte is 4-1 straight up in their last five games at home. The Pick: Take the Hornets to cover and the OVER. Jason Kidd has made the Bucks competitive despite the loss of Jabari Parker. Detroit (-2) at Milwaukee – The Pistons have won seven of their last ten games as they continue to play well in the weeks since Josh Smith was sent packing. Although they are currently in the 10th spot in the East, they are just a game behind Brooklyn for the all important eight spot. 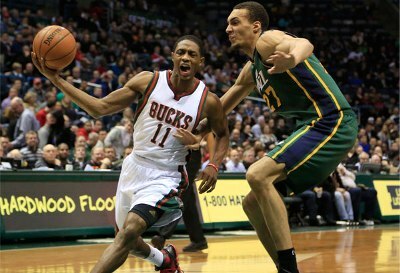 The Bucks sit at 21-21 and not surprisingly they have gone 5-5 over their last ten games. The loss of Jabari Parker to his ACL injury was a tough blow but Jason Kidd has kept this team competitive with good defense. Trends: The Pistons are 12-3 straight up in their last 15 games… The total has gone UNDER of 12 of Milwaukee’s last 13 games… Detroit is 0-5 against the spread in their last five games against the Bucks… The total has gone OVER in five of Milwaukee’s last seven games against the Pistons. The Pick: With the Pistons being better on the road then at home, I like them to cover and I like the UNDER. Philadelphia (+16) at Memphis – At 8-35, the Philadelphia 76ers are going nowhere and now they have to try without guard Troy Wroten is out with a knee injury. The Sixers have lost four straight and are just a half a game ahead of the New York Knicks who have won three in a row. 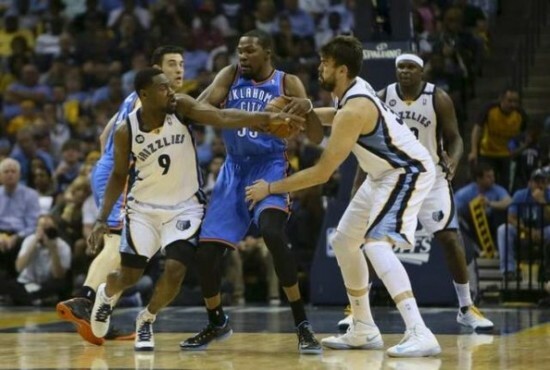 Memphis has won six of their last ten and currently resides in the second spot in the Western Conference. Although the Grizzlies have been good at home (17-5), the Sixers are actually better on the road than they are home. Trends: Philly is 1-8 straight up in their last nine games on the road… The total has gone OVER in five of Memphis’ last seven games… The Sixers are 2-4 against the spread in their last six games when playing on the road in Memphis… The Grizzlies are 5-1 SU in their last six games at home against Philadelphia. The Pick: Take Philly getting the points and the OVER. Washington (-4.5) at Portland (O/U 195.5) – The story here is obviously “life without LeMarcus” in Rip City. Portland’s all-star big man is out six to eight weeks with a hand injury. Portland currently resides in the third spot in the West but common sense tells us that won’t last. The question is just how long can the Blazers hang on without Aldridge? For the Wizards, they are in the second spot in the Eastern Conference and trail the Atlanta Hawks by six and a half games. Washington needs to pay closer attention to Toronto and Chicago who are just a game behind them. 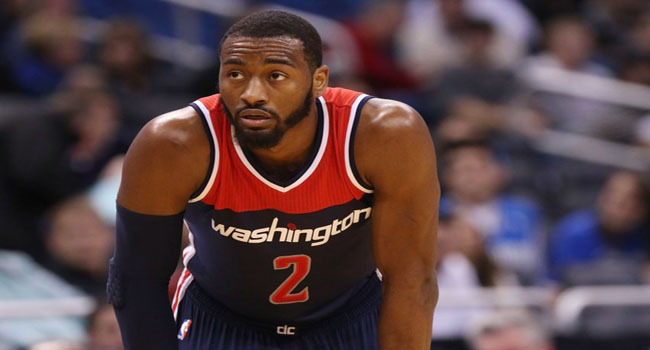 The Wizards will go as John Wall goes and he’ll be challenged by good guard play in Portland. Trends: The total has gone UNDER in four of Washington’s last six games… Portland is 1-5 straight up in its’ last six games… The Wizards are 3-6 against the spread in their last nine games in Portland… The Blazers are 2-4 SU in their last six games against the Wizards. The Pick: I like the Blazers to halt their two game skid and take the UNDER.